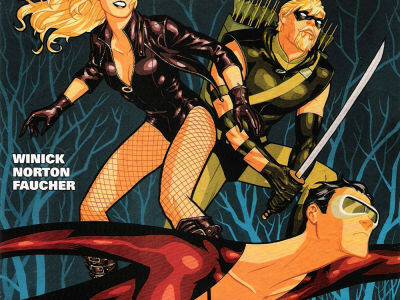 With nine days left to Arrow Season 5, we look at another Green Arrow comic book cover. 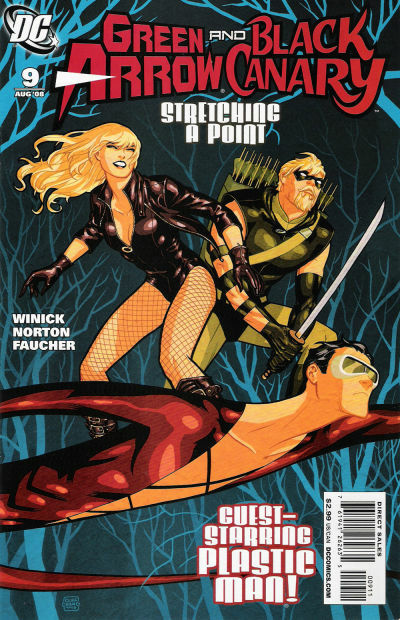 Every year on GreenArrowTV’s Twitter feed and Facebook page, we’d count down to the new season’s premiere with a classic Green Arrow-related comic book cover. 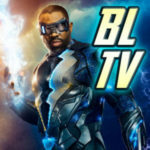 After all, it was the comic books that inspired the TV series to begin with. We were hoping to do this daily, but kind of fell behind a bit.. now we’re back and ready to post more! Since there had sometimes been confusion about the covers without any context, this year we’re going to describe the comic book covers that we are showing. 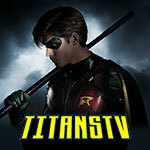 The issue numbers on the comics will correspond to the number of days left before Season 5 begins. For example, there are 9 days left until Arrow Season 5, considering The CW has announced an October 5 premiere date. 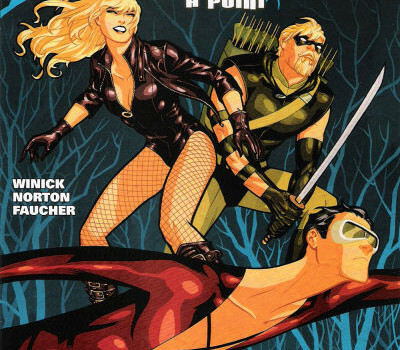 The Green Arrow/Black Canary comic book came out at a time when Green Arrow and Black Canary were actually married; several issues were written by Arrow’s own Andrew Kreisberg. This particular issue of the series featured a guest appearance by Plastic Man! 9 DAYS are left to the Arrow season premiere – be sure to come back daily for more countdown posts! Past “Cover Countdown” posts can be found here. See some photos from the Arrow Season 5 premiere “Legacy” here!